ISLAMABAD: The International Monetary Fund (IMF) on Thursday granted Pakistan two waivers, paving the way for the approval of the last loan tranche of a $6.4 billion bailout programme. This is the first time the country has successfully completed the programme in 15 years and the sixth in its 58-year relationship with the international lending agency. Pakistan last completed a one-year standby arrangement in 2001. While completing its 12th and the last review for the Extended Fund Facility (EFF), the IMF granted two waivers to Pakistan on key conditions of reducing the budget deficit and limiting money supply. Islamabad missed both those targets for the 2015-16 fiscal, which ended on June 30. The waivers will allow the IMF’s executive board to approve the remaining $102 million tranche under the $6.4 billion programme. The agreement was reached in Dubai between Finance Minister Ishaq Dar and IMF mission chief to Pakistan Harald Finger, subject to approval by the IMF management and the executive board. Pakistan signed the three-year programme in September 2013 aimed at avoiding default on its international debt payments and reforming the sectors of energy, taxation and improving the business climate. Although the government made significant progress, Islamabad later backtracked from its commitment of privatising power distribution companies and also could not end circular debt, which stands at over Rs661 billion, including arrears. In a dozen reviews, the IMF granted 16 waivers on key conditions in addition to extending deadlines in areas of energy and central bank autonomy. Due to the relatively high number of waivers, experts have raised questions over the design of the IMF programme and the performance of the federal government. Economic growth, the IMF said, is expected to reach 5% in this fiscal year supported by buoyant construction activity, strengthened private sector credit growth and an investment upturn because of the China-Pakistan Economic Corridor (CPEC). Nevertheless, a challenging global environment and declining exports are weighing down on growth prospects. Average inflation is expected at around 5.2%, remaining well-anchored by continued prudent monetary policy. Pakistan’s gross international reserves reached $18.1 billion in 2016 June-end, covering over four months of prospective imports. 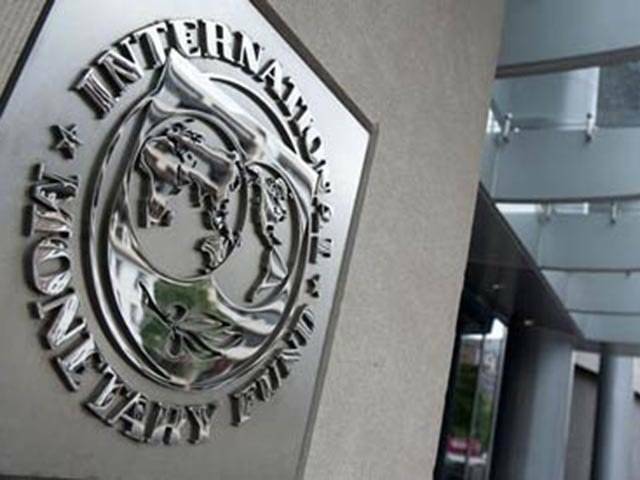 The IMF mission chief termed Islamabad’s performance in the fourth quarter of the last fiscal year solid. He said most end-June quantitative performance criteria (PCs) were met, although the ceilings on the budget deficit and net domestic assets (NDA) of the State Bank of Pakistan (SBP) were missed by small margins. The IMF also acknowledged Pakistan’s performance over the past three years, saying the economy made significant progress towards strengthening macroeconomic and financial stability and resilience, and laying the foundations for higher, more sustainable and inclusive growth. Finance Minister Ishaq Dar said the government would continue with the financial sector reforms agenda for strengthening legal, regulatory and supervisory framework aimed at safeguarding stability of the financial sector, a finance ministry handout stated. He said the tax to GDP ratio had improved significantly over the past three years, from 8.45% in 2013 to 10.5% by the end of last fiscal year. The minister said the government was working on reducing energy shortages with an emphasis on adding over 10,000MW of electricity to the system by March 2018.